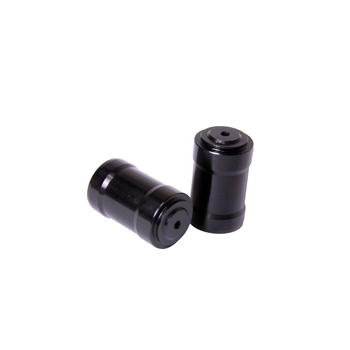 Briley extended tubular magazine follower is recommended for use in shotguns that are used in 3 Gun and have an open loading port. Opening the loading port exposes the lower portion of the magazine tube removing some of the retaining shoulder within the tube. This will sometimes allowS the shorter factory followers to “jump” the shoulder as they are able to rock within the tube. The longer follower will prevent this. It also allows smoother transition from extension to magazine. The follower face is cut so as to apply sufficient pressure to the cartridge while allowing sufficient clearance for the latch when the magazine is empty. Follower is contoured and hard anodized to reduce friction.